I was asked by a friend to make some placemats for a christmas gift. 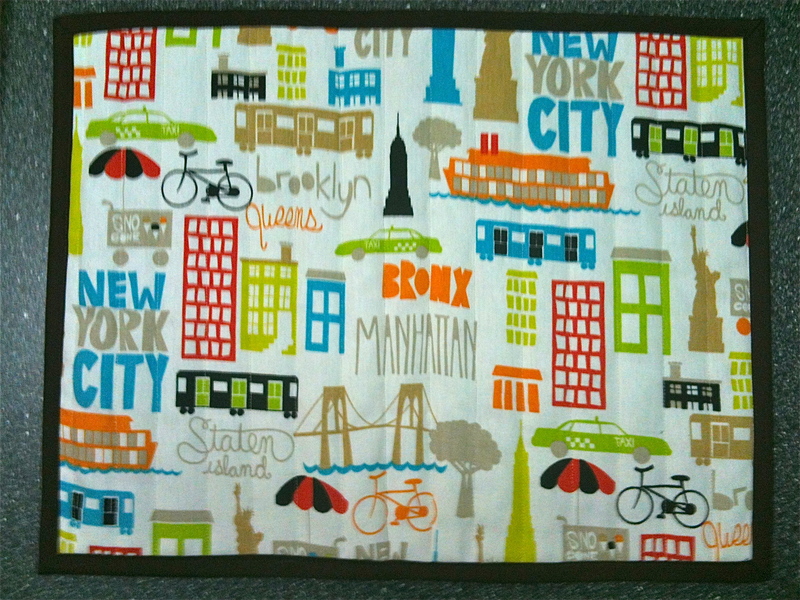 We found some great New York themed Home Essential Fabric from Joann’s which will work great for the recipients. These are simple placemats – New York fabric used for the front, Striped fabric for the back, dark brown binding and straight line quilting used to join everything together. 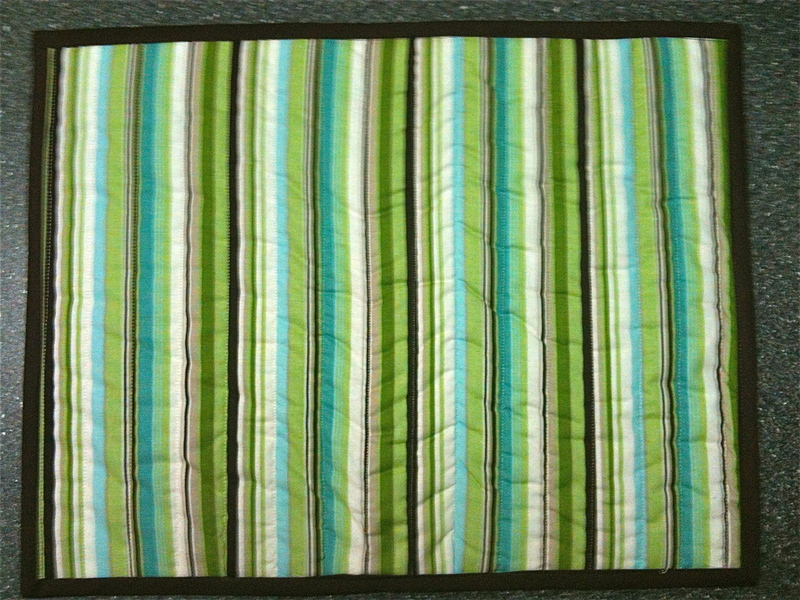 This entry was posted in Uncategorized and tagged binding, christmas, christmas gift, Christmas gifts, christmas presents, crafts, diy, gift, green and brown stripes, home, joann, New York, placemats, quilting, quilts, sewing, striped fabric on November 2, 2012 by mlwilkie.